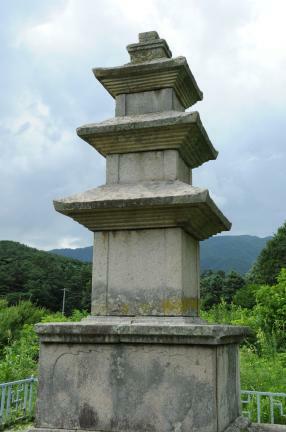 법성사(法聖寺)터로만 알려진 곳에 있는 탑으로, 2단의 기단(基壇) 위에 3층의 탑신(塔身)을 올린 형태이다. 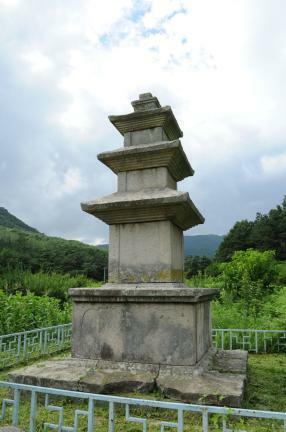 아래층 기단은 8개의 돌로 구성되어 있으며, 모서리와 가운데에 기둥 모양을 새겨 놓았다. 위층 기단에는 둥글고 넓은 장식의 안상(眼象)을 각 면이 다 채워질 만큼 큼직하게 새겨 놓았다. 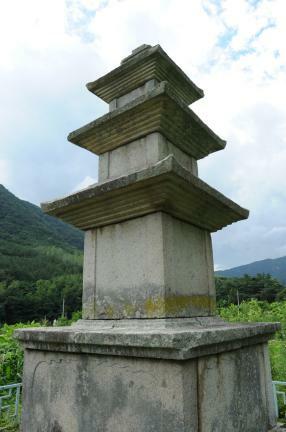 탑신의 몸돌과 지붕돌은 각각 한 돌로 이루어져 있으며, 몸돌마다 모서리기둥이 뚜렷하게 나타나 있다. 지붕돌은 아래받침이 5단씩이고 네 귀퉁이는 경쾌하게 치켜올려져 있으며, 탑 상부의 머리장식부분은 노반만이 남아있다. 이 탑은 기단이 2단으로 이루어진 점과 지붕돌 밑면의 받침수가 5단인 점 등으로 보아 통일신라시대에 세워진 것으로 보인다. 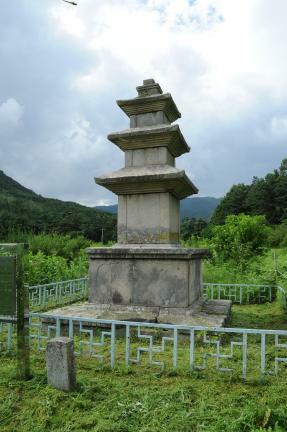 기단에 안상을 새겨 두었다는 점이 특이하며, 1971년 도굴자들에 의해 윗부분이 부서져 있던 것을 복원하였다. 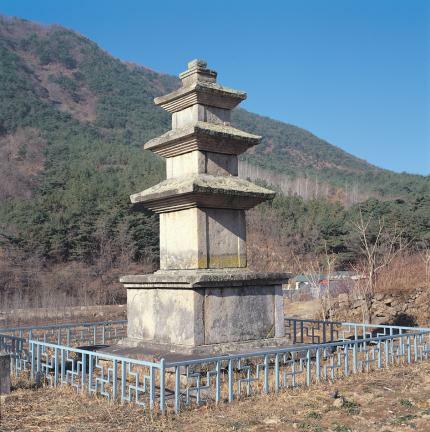 This stone pagoda, consisting of a two-layer platform and a three-story main body, is located on the former site of Beopseongsa Temple. 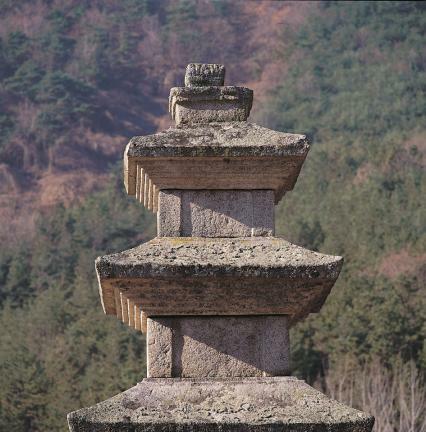 The lower layer of the platform is composed of eight stones, and is carved with pillar patterns at its corners and on its facets. 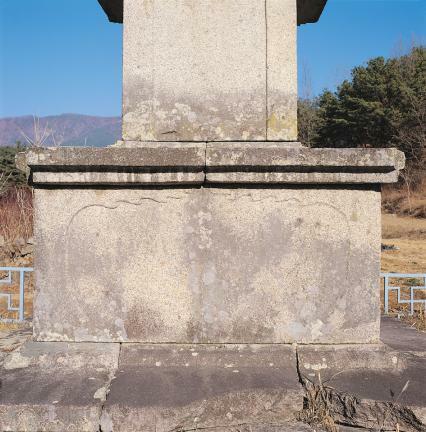 The upper layer is engraved with panel decorations of large round patterns. 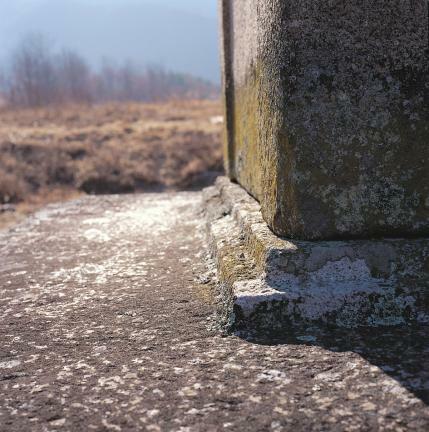 Each core stone and roof stone of the main body is hewn from single stone. 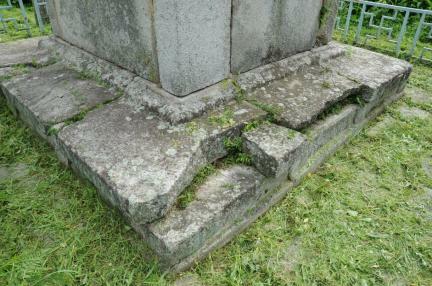 The corners of the core stones are clearly engraved with pillar patterns. 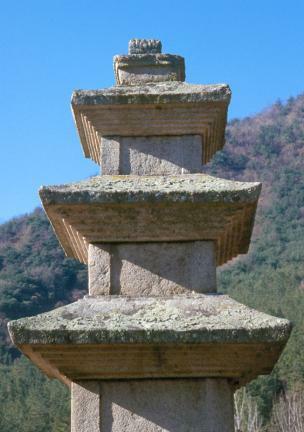 Each roof stone has a five-tiered cornice and curves swiftly upward at its four edges. 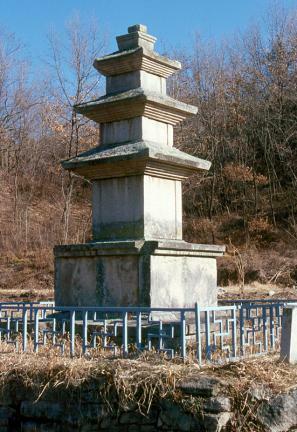 Of the upper part of the pagoda, only the finial base remains. 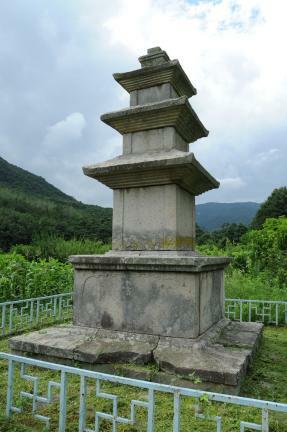 Judging from the fact that the pagoda has a two-layered platform and five-tiered cornices, it is believed that it was built during the Unified Silla period. 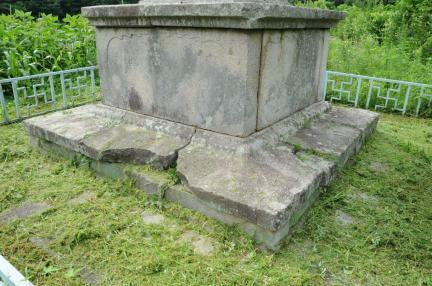 The panel decorations engraved on the platform are noteworthy. 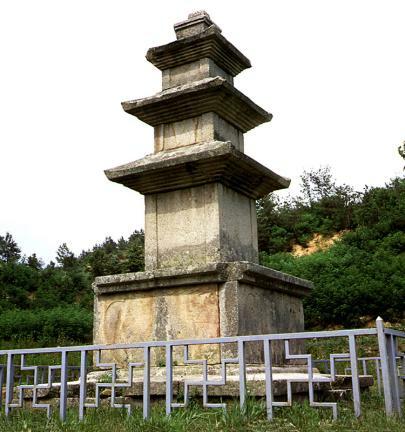 The upper part of the pagoda was restored in 1971after being damaged by thieves.